VOLUNTARIOS largo plazo necesarias lo antes posible! Would you like to work with a small and dedicated team protecting wildlife and its habitat, at the same time as supporting local communities of Central Borneo? Amigos de la Fundación de Parques Nacionales (FNPF) is on the hunt for a new Public Relations Manager, to assist with getting the not-for-profit organization a public recognition through social media and press. The position of Public Relations Manager is a significant role within FNPF, which requires strong planning, research, communications, writing skills and development skills. Working closely with FNPF’s field staffs and local communities of Central Borneo. 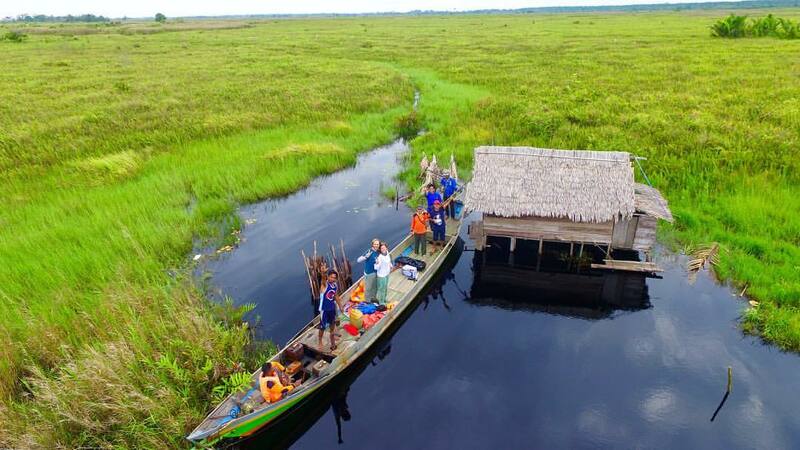 The Public Relations Manager will be based in FNPF’s office in Pangkalan Bun, with regular trips to the Tanjung Puting National Park and Lamandau River Wildlife Reserve. Do you think you got what we ask for? Send your CV and a short covering letter (no more than 1 A4 page) outlining your suitability as a candidate for this position, addressing how your skills meet the points listed above. Haga clic aquí para obtener información sobre varias formas de donar, incluyendo IMPUESTO SOBRE DONACIONES DEDUCIBLES. Haga clic en el botón de abajo para donar a través de Paypal o tarjeta de crédito. Cada año cientos de personas de todo el mundo vienen a Indonesia para ser voluntario con nosotros en Bali y Kalimantan. Al igual que? Mándenme una línea.